Clean out your bathroom cabinet because we have the only skin care product you’ll ever need! Vaccines you should think about… Other than the flu shot. Our Top 3 Tips for a Healthy Summer! We’ve been waiting all year for this moment! 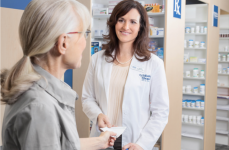 You have a personal financial advisor, a personal trainer, and a personal doctor… do you have a personal pharmacist?